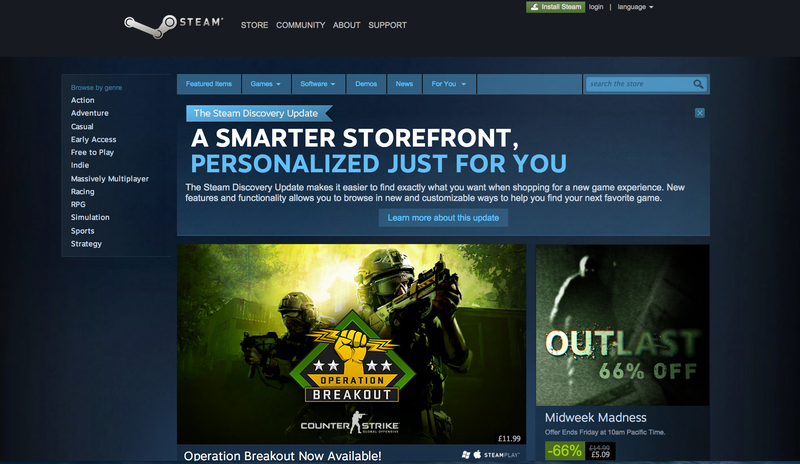 Valve Corporation seems far from being exhausted, having recently relaunched the Steam Storefront, with a spanking new web design to enhance user experience. For those that are unfamiliar with Steam, its a community where you can play unique online games, a lot from indie gamers. And with a hundred million users that frequent the site, and over 3000 games available to test out like Depression Quest, surely this revamp has come just in time.